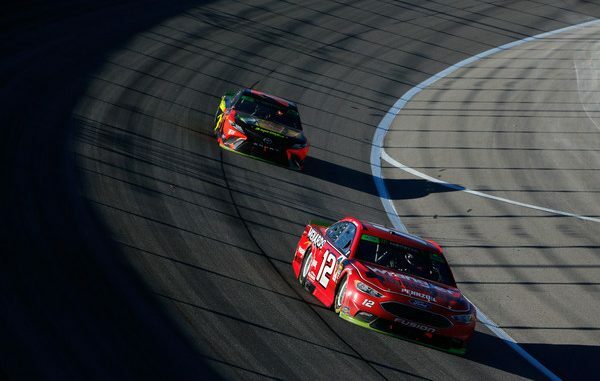 Below the Playoff cut line entering Sunday’s Hollywood Casino 400 at Kansas Speedway, Ryan Blaney made a concerted run toward advancing to the Round of 8. With one of the fastest cars in the field, Blaney finished third in Stage 1, earning seven points. He added another eight points with a second-place run in Stage 2. When Blaney was holding second place at Lap 189, he was one point to the good over Kurt Busch, who was hit with a pass-through penalty for a tire violation and lost a lap in the process. 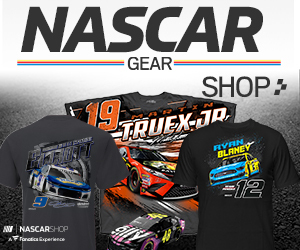 But Blaney’s No. 12 Team Penske Ford slapped the outside wall on Lap 204 and quickly dropped to fifth, once again below the cut line. He finished the race in seventh place and failed to advance to the Round of 8 by six points. “Obviously, it was a mistake I made trying to work hard to catch those guys (Kevin Harvick and race winner Chase Elliott), and I pushed too hard and got in the fence,” Blaney said. “It’s all my fault. Whether it would have worked out for us or not, I don’t know.